Ann Burroughs, who grew up in South Africa, was 22 when she was arrested and jailed as a political prisoner because of her opposition to apartheid. She was released after Amnesty International took up her case. It was an early lesson in what it means to stand up for racial and social justice and set Burroughs on a lifelong effort to promote understanding, acceptance and appreciation for ethnic and cultural diversity. Today, Burroughs is the president and CEO of the Japanese American National Museum in Los Angeles and the newly elected chair of the Global Council of Amnesty International. Burroughs will visit the University of Utah on Thursday, Aug. 30, as the keynote speaker of the Tanner Center for Human Rights lecture series. The lecture, “Never Again is Now: Remembering and Reaffirming Our Collective Commitment to Protecting Civil Rights,” begins at 7 p.m. at the Utah Museum of Fine Arts. It is free and open to the public. Ann Burroughs is the president and CEO of the Japanese American National Museum in Los Angeles and the newly elected chair of the Global Council of Amnesty International. The museum is currently featuring an exhibit of Chiura Obata’s art work, drawn from his experiences in the Japanese internment period during World War II. Obata was a founding director of art schools at the Tanforan Assembly Center in California and the Topaz Relocation Center in Utah during the Japanese American interment (1942-45). He emerged as a leading figure in Northern California’s art scene, serving as an influential art professor at UC Berkeley for 22 years. The order that led to the detention of Japanese Americans—Executive Order 9066 signed by President Franklin D. Roosevelt in 1942—was “unbelievably stark in its ordinariness, a banal government document” that had devastating consequences for Japanese Americans, Burroughs has noted. This unfortunate chapter of American history risks being replayed today, most recently with exclusion of migrants from certain nations and the detention of undocumented immigrants—and separation of families—at the U.S.’s southern border. 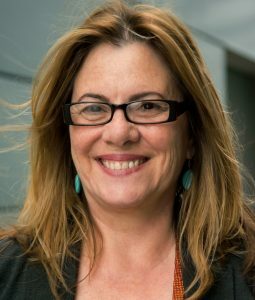 “The lecture will examine lessons to be drawn from the Japanese internment experience to inform today’s debates over the discriminatory treatment of racial and religious minorities in the immigration system including the recent categorical exclusion of certain classes of migrants and the troubling treatment of asylum seekers by the United States,” said Erika George, interim director of the Tanner Center for Human Rights and the Samuel D. Thurman Professor of Law at the S.J. Quinney College of Law at the University of Utah.